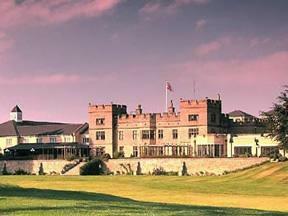 Choose from 38 hotels and guest houses in Northumberland. Shown below a just a selection of the hotels available. To search within an area please use the menu on the right. The distinctive mix of traditional and contemporary immediately captivates visitors. Real fires, flowers and antique furnishings blend with the Lounge to create a relaxed atmosphere. Otterburn Hall hotel is a luxury country house hotel set in over 500 acres of the beautiful countryside in the Northumberland National Park. The 65 bedrooms and suites are a combination of classical and modern design, offering elegance and liberal luxury. Built in the late 1800s, Wyndgrove House is located in a peaceful part of the village of Seahouses, a short walk from the seafront and the harbour. 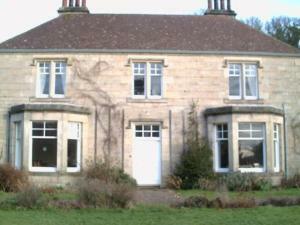 Paul and Donna welcome you to Wyndgrove House, where you can enjoy quality accommodation and a full English breakfast. The Northumberland Coast is a designated Area of Outstanding Natural Beauty and Wyndgrove House is an ideal base for exploring this region. Wyndgrove House welcomes birdwatchers, walkers, cyclists, divers and golfers, as well as those who simply want to relax! 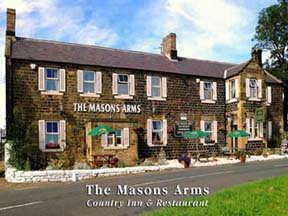 A former coaching inn built about 200 years ago, the Masons Arms is 5 miles from Alnwick, and serves substantial home-cooked meals prepared with the very best local produce. The Masons Arms is an ideal base for exploring the virtually undiscovered county of Northumberland. The converted stables provide superb en suite accommodation with extensive private car parking. Meals are served in the bar and the dining rooms. The most recent addition to the main building is a suite with private sitting room for 2, 3 or 4 guests. Since December 2002, a new accommodation block has comprised 4 executive doubles and 2 executive suites. As featured in The Guardian, this bed and breakfast is one of the finest luxury Northumberland guest houses, situated on the foundations of Hadrian's Wall. Located on a family-run working farm, Carraw is a 4-star Silver Awarded B&B guest house. Enjoy the sublime hilltop setting overlooking the countryside of Northumberland National Park and the surrounding scenery of the North Pennines, an Area of Outstanding Natural Beauty. 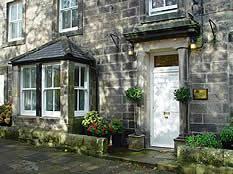 The B&B is ideally situated for walking the Hadrian's Wall Path National Trail, cycling Hadrian's Cycleway and touring the delights of Northumberland. It is close to all the major heritage attractions along Hadrian's Wall including: the Roman Forts at Chesters, Housesteads and Vindolanda. The Estate House is an elegant Victorian home in a quiet setting at the centre of Ford Village. There is a garden surrounded by mature trees and views towards the Cheviots. Each bedroom is en suite and has Freeview TV, tea/coffee and hairdryers. The cosy lounge has information about the area. The dining room overlooks the garden, where there is often plenty of wildlife to watch on the lawn. The breakfast menu has lots of choice; evening meals and packed lunches are available by arrangement. Local organic ingredients are used as much as possible. The non-smoking Estate House has on-site parking, with a lock-up garage for cycles. Ford Village is between the A1 and A697 roads. The Estate House is well place for coastal attractions such as Holy Island and Bamburgh. This charming, traditional family-run hotel is situated in one of the most picturesque parts of Northumberland, in the small town of Wooler, known as the Gateway to the Cheviot Hills. The convenient location makes the Ryecroft Hotel a great base for walkers or for those exploring the region for leisure. With just 9 rooms, the hotel offers friendly, attentive, personalised service, a warm welcome and a relaxed, informal atmosphere. All of the individually furnished rooms are en suite and equipped with colour TVs, hairdryers, telephones and tea/coffee making facilities. 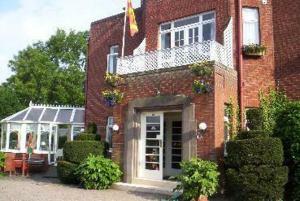 The hotel is renowned for its excellent home-cooked food and wide range of fine ales. The restaurant and bar are popular with locals and guests alike, offering visitors an authentic taste of rural Northumberland. Enjoy a drink or a meal in the cosy bar, with its real log fire, or in the light, airy conservatory, with beautiful views of the hills all around. One of Northumberland's most beautiful country houses, this 17th century residence is immersed with a spectacular 500-acre private estate in Eshott, just 20 minutes away from Newcastle City Centre. Recently awarded 5-star Gold by Visit Britain, Eshott Hall offers contemporary decor and modern facilities within a unique historic ambiance. Surrounded by tranquil rolling lawns and ancient woodland, it offers an idyllic spot for a relaxing country break. During your stay you can try your hand at a variety of exciting activities in and around Eshott, including tennis on the hall's private court in the walled garden (coaching available), clay pigeon shooting and paragliding around the estate. With a beautiful lakeside location, in Queen Elizabeth II Country Park, overlooking both the lake and the park, this modern hotel offers comfortable, great-value rooms and free parking. 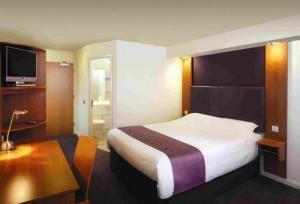 The Premier Inn Ashington is situated just off the A189, 45 minutes' drive from Northumberland's beautiful coastline. The lake and the park are very popular for fishing, walking and cycling. For shopping, Newcastle's city centre and the MetroCentre are only 20 minutes away. The hotel has a 24-hour reception desk and some rooms can take 2 adults and up to 2 children (under 16 years). The 2 children also get a free full breakfast when accompanied by an adult eating a full breakfast. The all-you-can-eat breakfast buffet is includes the expected cooked items such as scrambled, fried, poached or boiled eggs, and pork or vegetarian sausages. There is also a wide continental selection. The on-site Brewers Fayre restaurant offers traditional, great-value pub favourites in a family-friendly environment. Set in 15 acres of beautiful parkland, Tillmouth Park Country House Hotel is situated between Edinburgh and Newcastle, close to the river Tweed and with good access to the A1. All luxurious rooms have antique furniture, a TV and contemporary bathrooms. Guests may experience AA rosette-awarded cuisine in the Library Dining Room or take afternoon tea in the main hall by the open log fire. There is also a bistro and stylish cocktail bar. Local activities in the stunning surrounding area include golfing, walking, horse riding and fishing. 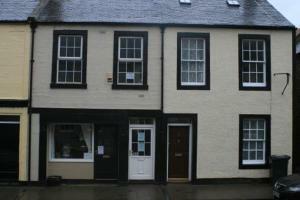 Guests may wish to explore the Northumberland National Park or The Tweed Valley. With fabulous views of the River Tweed, this accommodation close to the English/Scottish border is 45 minutes from the Edinburgh bypass. With a great location for visiting Edinburgh or the Borders, Bank House is 15 minutes from the train station and is close to bus routes. Some rooms have facilities suitable for longer stays for families or couples. In the midst of a wild and romantic landscape, the Percy Arms Hotel stands on the edge of the Northumberland Moors. It offers luxury and comfort in a genuine 'get away from it all' location. This 17th century coaching inn, family operated and managed, offers a high standard of cuisine and accommodation, plus those little extras only such an establishment can offer. You're always sure of a warm welcome, no more so than in the colder months of the year when crackling log fires remind us of a splendid traditional past. Overlooking Embleton's beautiful beach, the spectacular ruins of Dunstanburgh Castle and the impressive 18-hole golf course to the front of the hotel, the Sportsman boasts a superb restaurant. The Sportsman Hotel has a magnificent location, looking out over Embleton's beach, which is consistently voted one of Britain's best. The historic market town of Alnwick, famous for its gardens and its castle, is just a 10-minute drive away. There are 10 rooms in total, 9 of which have sea views. All of the rooms are bright, airy and spacious, decorated in a contemporary style with natural woods and neutral colours. All of the en suite bathrooms have been upgraded in 2009 with New England tiles and new shower enclosures. The beds are French oak, reminiscent of the driftwood found on the beaches in Northumberland. With real log fires and great wines, the Sportsman is well known for offering stunning food, including superb fresh seafood. Converted from an 18th-century farmstead, Battlesteads is a stylish country inn with en suite rooms and an 80-seat restaurant. It is set in beautiful countryside close to the Roman Wall. The traditional inn retains a Northumbrian country atmosphere with beamed ceilings and cosy wood burning stove. A light and airy conservatory opens onto a patio and walled garden. Battlesteads is proud of its 'Green' credentials and has received a Gold Award from the Green Tourism Business Scheme. The Otterburn Tower country house hotel and restaurant, located in the heart of Wild Redesdale, is truly unique. The Otterburn Tower nestles in 32 acres of its own estate, fronted by terraced lawns and surrounded by woodland. The gardens stretch down to the village of Otterburn with all the facilities close by. The hotel is beautifully restored, with the original features of oak panelling, leaded panes and stained glass, very important features of the hotel. The 18 rooms are all en-suite with the old library now a master suite with a four poster bed and every comfort. So whether you are looking for a relaxing break, to explore the coast, castles and valleys of Northumberland, to be active or for a family holiday we look forward to welcoming you at our historic hotel. 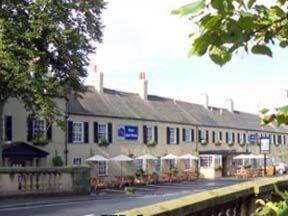 Enjoy a warm and friendly welcome from this town centre hotel that rests by the River Wansbeck. The hotel offers an ideal location for those wishing to explore the Northumberland countryside and coastline. Located only an hour's drive from the borders, the hotel is also a perfect starting point for trips into Scotland. 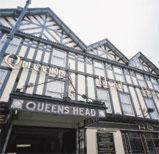 The Queens Head Hotel has 3 function rooms that accommodate from 16 to 130 guests. Hotel facilities include a 24 hour reception and licenced bar. Newcastle and the MetroCentre are only 15 miles away, and easily accessible by bus and rail. Within the town of Morpeth, there are many shops, bars and restaurants to explore. This fine lodge-style accommodation with stunning views has free Wi-Fi and an in-house bar and restaurant. Purdy Lodge offers friendly, efficient service and is located in an area of natural beauty between Alnwick and Berwick upon Tweed. The restaurant serves a range of meals, beers and wines. The lodge is just off the A1 and 5 miles (8 km) inland from Bamburgh. This 2-bedroom apartment is in Coldstream, a quiet Scottish border town surrounded by countryside, within driving distance of Edinburgh. Apartment 76 has 2 bedrooms - the largest has a king-size bed and a single bed; the other has twin beds that can be pushed together if needed. Elsewhere in the apartment is a well-equipped kitchen, and a sitting room with TV (Freeview) and DVD player. You can drive from Coldstream to the centre of Edinburgh in around 75 minutes. Good for those who like to escape to the countryside after a day in a busy city. In the heart of the village of Warkworth, this 18th-century coaching inn is now a 3-star hotel offering attractive en suite accommodation and high quality, great-value, locally sourced food. Less than a mile from the Northumberland coast, Warkworth is a small, charming village, cradled by a loop of the River Coquet. Surrounded by all the region's wonderful beaches, castles, gardens and golf courses, the Warkworth House Hotel makes a wonderful base from which to enjoy some of Northumberland's most beautiful unspoilt countryside. 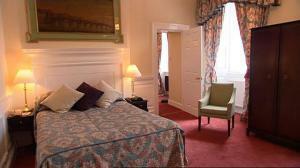 The hotel offers a range of en suite rooms, including the newly refurbished executive rooms. The executive rooms feature upgraded comforts and facilities, including stylish new bathrooms, digital flat-screen TVs, DVD players and luxury toiletries. The No. 16 Restaurant, Bar & Bistro is well known as a great place to eat and drink. The high quality food is prepared on the premises by the hotel's own team of chefs and is made using locally sourced produce. This bar, restaurant and hotel is converted from an old dairy and is located just outside the centre of Ashington. Food is served all day and there is free parking. 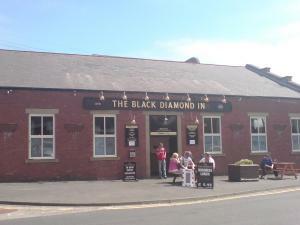 The Black Diamond is within easy reach of Newcastle city centre, the coast and Northumberland. All rooms have an en suite bathroom, a TV, ironing facilities and tea and coffee making facilities. This beautifully restored country house has state-of-the-art facilities, luxurious bedrooms, 10 acres of grounds and exceptional attention to detail. 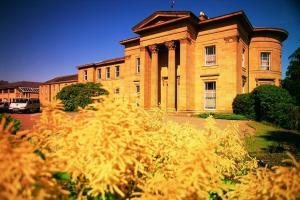 Doxford Hall Hotel and Spa has a health spa with a swimming pool, Jacuzzi, sauna and steam room. The George Runciman Restaurant offers fine dining. The hall has been restored to a very high standard. Each bedroom is named after a Northumbrian castle, and has luxury facilities and a very comfortable bed. The hotel has been awarded a 4-star silver award from Visit Britain.